While Syniverse’s role in making mobile work is well-known, our company has another side that may not be as well-known but that is equally important to us. Corporate social responsibility is a commitment we take seriously, and we strongly believe in helping in the communities where we work and live. As one of more than 2,600 Syniverse employees, I think I can speak for all of us when I say that we feel we are connected by our obligations to every community we touch. At many of our 35-plus offices around the world, our people seek to make a difference in a number of ways, from financial giving, to volunteering, to partnering. In this post, I would like to share two of these efforts that our London office has been involved with. 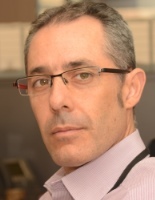 The first half of the post is by me, about an event that I helped lead recently, and the second half is by my London office colleague, Siegfried Bonhomme, who is spearheading another event. On April 18, for the fourth year in a row, Syniverse had the pleasure of participating in a nationwide U.K. charity event called Swimathon. The event is a swimming challenge that encourages swimmers across the country to take part in a variety of challenge distances at their local pool and raise money for charity. Since Swimathon was first held in 1986, more than half a million swimmers have participated and raised over £40 million (approximately $63 million) for charitable causes. We participated in Swimathon through a program by our London office employee association, a committee charged with leading charitable and extracurricular activities in communities where Syniverse offices are located. Each year, many Syniverse employee associations compile lists of local charitable organizations and allow each office’s employees to vote for and select a few that that office’s employees would like to support. For several years now, one of the charities that our office has selected is Marie Curie, the organization that Swimathon supports. Marie Curie provides care to more than 40,000 people with a terminal illness, either in their local communities or at one of Marie Curie’s nine hospices across the U.K.
I’m delighted to report that five people from our London office formed two teams to take part in Swimathon, and both teams jointly came in first place. Our participation allowed us to raise a significant amount, which came through a variety of donations from colleagues, family members and friends. 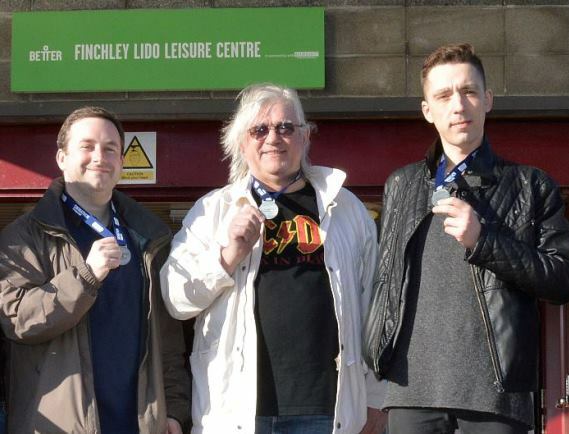 Three members of this year’s Syniverse Swimathon teams, including, from left, John Lloyd, me, and Julius Laurasonis, holding up our participation medals. Our success and participation in Swimathon is particularly joyful because Marie Curie’s mission holds a special meaning for me. Just over four years ago, I lost my older brother to cancer, and the year before, my older sister, so at that time, cancer was very much at the forefront of my thoughts. Because a major focus of Marie Curie is providing care for cancer patients, I identified Swimathon as a charity with a lot of meaning for me, and several of my colleagues did, too. As a result, we became involved with Swimathon and have been participating in it for four years now. My older brother was a truly great swimmer, although I have never been much good at it. I still find it hard to swim, but I consider the opportunity to participate in this event as a way to honor him. If participating were easy, it wouldn’t mean as much. Consequently, it means so much to me that Syniverse provides an opportunity for our office to take part in this, allowing us to pay tribute to special people in our lives as well as raise funds for an exceptional cause. It’s been a special honor for me to be a leader of our teams for Swimathon, and I look forward to continuing our participation in this along with several other events that the London office is involved with. And on that note, other events, I would now like to turn this post over to my colleague Siegfried Bonhomme, to let him tell you about another charity activity. Building on the momentum of our participation in Swimathon, on July 26, five intrepid members of the London office will embark on a 100-kilometer (60-mile) bike ride for charity as part of an event called the London to Cambridge Bike Ride. The event includes a backroads route through the English countryside that allows cycling teams to ride for different charities. Each team solicits sponsorship donations to raise funds, and our Syniverse team is aiming to raise more than £1,500 (approximately $2,090) for our effort. The charity we’re supporting is Haven House, which is one of several organizations that this event supports. Haven House provides a variety of support services for children with life-limiting and life-threatening illnesses and their families, including convalescent care, end-of-life care and specialist day care for preschool children. Our team: (from left) John Lloyd, Alex Vlassenkov, Nerijus Gedvilas, David Vorster, me, and our official team support vehicle driver, David Carter. As David mentioned in his piece, it means so much to me that Syniverse provides an opportunity to be a part of this outstanding event through our employee association charity program. I first was drawn to participating in the London to Cambridge Bike Ride because I’m an avid cyclist myself. We then invited Haven House to come to our office and describe more about its work, and all of us who attended were touched by it. Personally, I’m amazed that my colleagues, from a range of different areas, including human resources, customer services and product development, decided to push themselves and join together in cycling in their first 100-km. ride. It will be by far the longest distance that most of us have gone, and we are committing many hours of training to be ready for the big day. I feel extremely humbled by everyone’s commitment. The Syniverse team is accepting donations through a special Syniverse Wheels website we created. For anyone who may be interested in Haven House or the kind of charitable services it offers, we would appreciate your donation for our effort. We hope to reach our goal of £1,500 by July 26, and we look forward to sharing news on that soon along with other charity activities that we’re taking part in. In the meantime, our training continues! 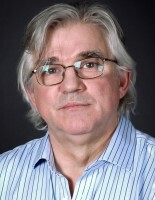 David Carter is a former Adaptive Server Enterprise Database Administration Manager at Syniverse.